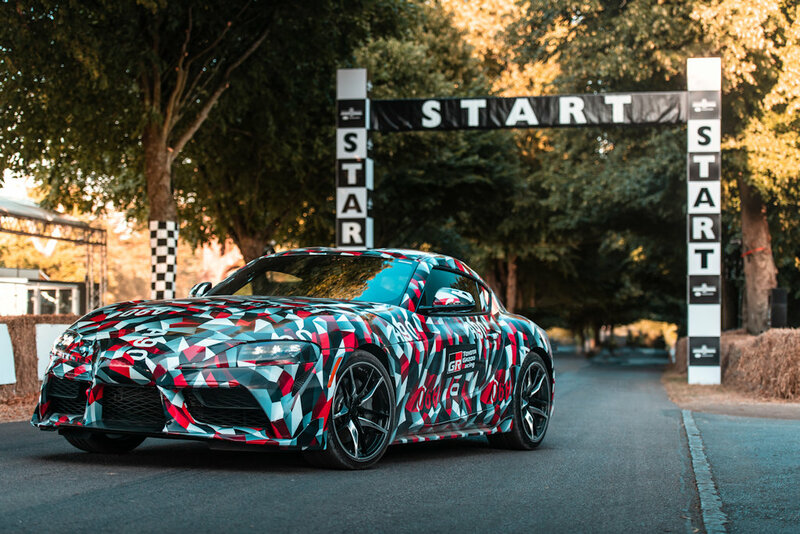 The Goodwood Festival of Speed has come and gone and people were slightly disappointed that they didn’t see the 2019 Toyota Supra in all its glory. Yes, it did do the hill climb, but it was still sporting the geometric camouflage, so a bit of a bummer there. But, some tidbits about Toyota’s upcoming sportscar did come out courtesy of Road & Track. First up, the engines. Road & Track reports that aside from a BMW-sourced inline-6 engine, the Supra will also be made available with a forced-induction 4-cylinder engine also courtesy of the German automaker. The 3.0-liter six-cylinder variant is said to produce 335 horsepower while the 2.0-liter 4-cylinder will have 265 horsepower. Both variants will have a ZF-sourced 8-speed automatic. 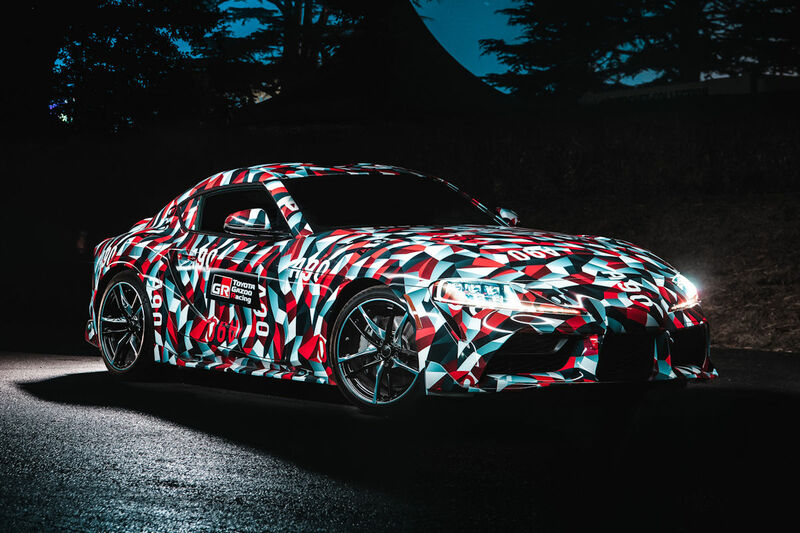 With a target weight of 1,500 kilograms, it’ll be lighter than the last-generation Supra by at least 14 kilograms cutting its 0-100 km/h time to just 3.8 seconds. Another tidbit, also courtesy of Tada, is the fact that Toyota benchmarked the Cayman for the all-new Supra, despite the former being a mid-sized coupe. He says that that two are comparable in terms of feel. Furthermore, iIt’ll have a shorter wheelbase compared to even the Toyota 86 and will have a 50/50 front-to-back weight distribution. Road & Track also says it’ll also wear specially-developed 19-inch Michelin tires with 255-mm width in front and 275-mm width at the back. Furthermore, Toyota has resisted the urge to do slotted or drilled discs, but that doesn’t mean the Japanese carmaker won’t offer an upgraded brake package in the future. 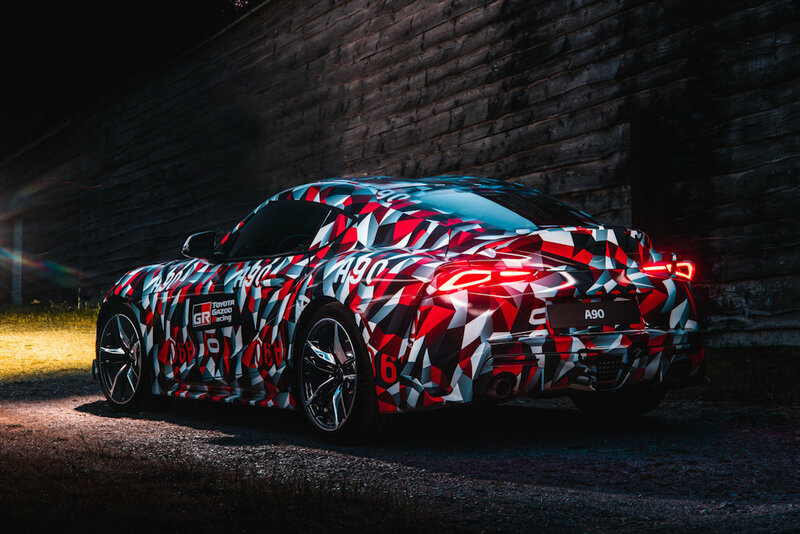 The 2019 Toyota Supra (also known as the A90) is said to hit showrooms by the first quarter of 2019. Expect a global debut just before then. A bit disappointing that Toyota needed to partner with BMW for that engine, considering the long wait. The hype has kinda died down already.